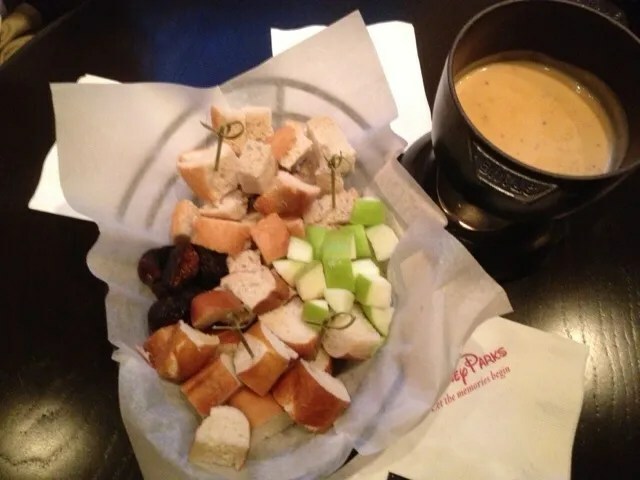 This reminded us of Le Cellier’s Cheddar Cheese Soup, especially when you dipped the pretzel bread into it…which was my favorite combination. 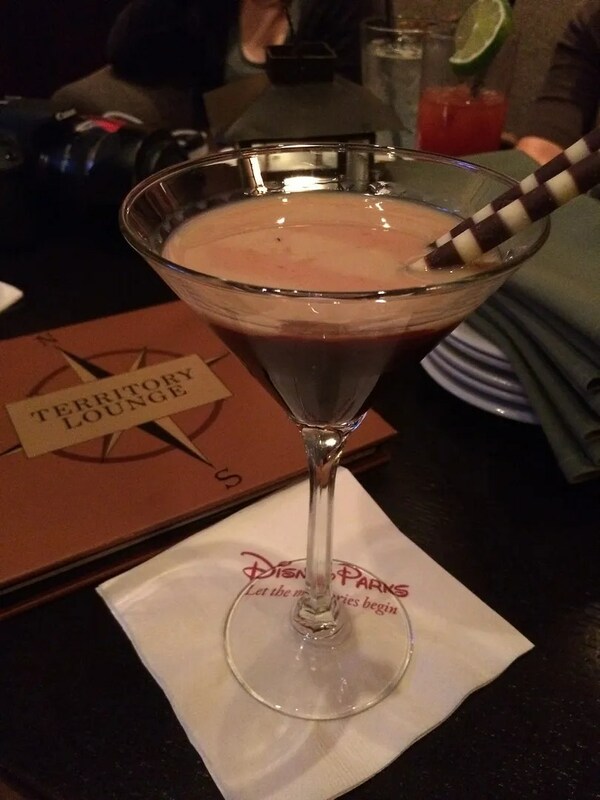 So when we decided to meet at the Territory Lounge, I was happy that I was going to be able to have this again. When Emily and I arrived, the others were already seated at a corner table. I had also invited DeeDee and Sue (marshallsmommy), who were both staying at the Wilderness Lodge. 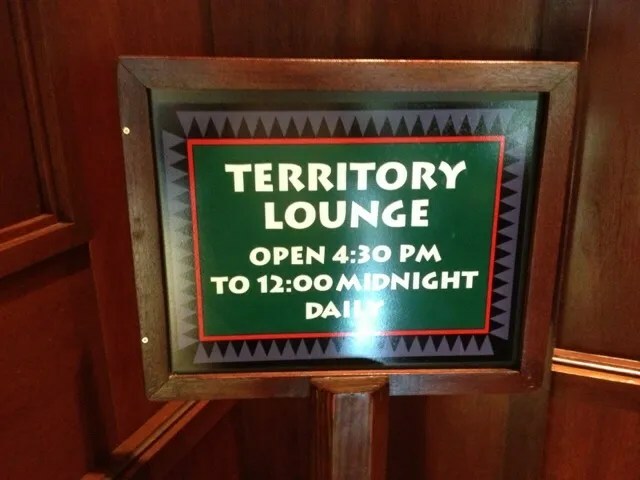 Unfortunately neither was able to join us, as DeeDee’s family had dinner plans at ‘Ohana (an ADR that is not easily rescheduled) and Sue had a tired little boy who needed his mommy. 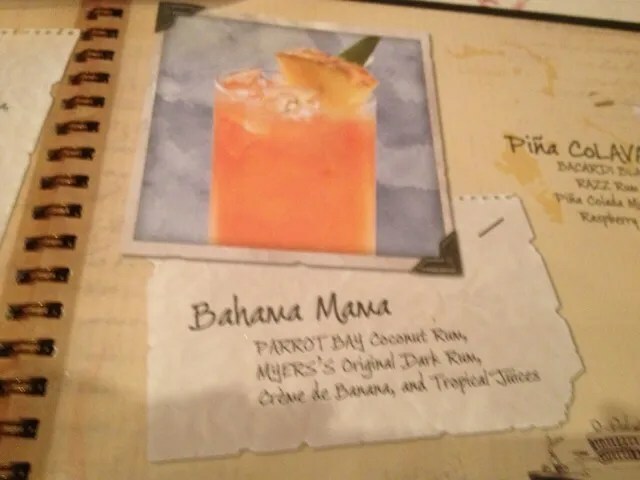 I noticed several changes had been made to the menu since when we were here in March. First change was that the fondue was now made with white wine (Pinot Grigio) instead of beer. Next was that Artist Point’s signature portobello mushroom soup had been added to the lounge menu, replacing the French onion soup that seemed somewhat out of place on their March menu. 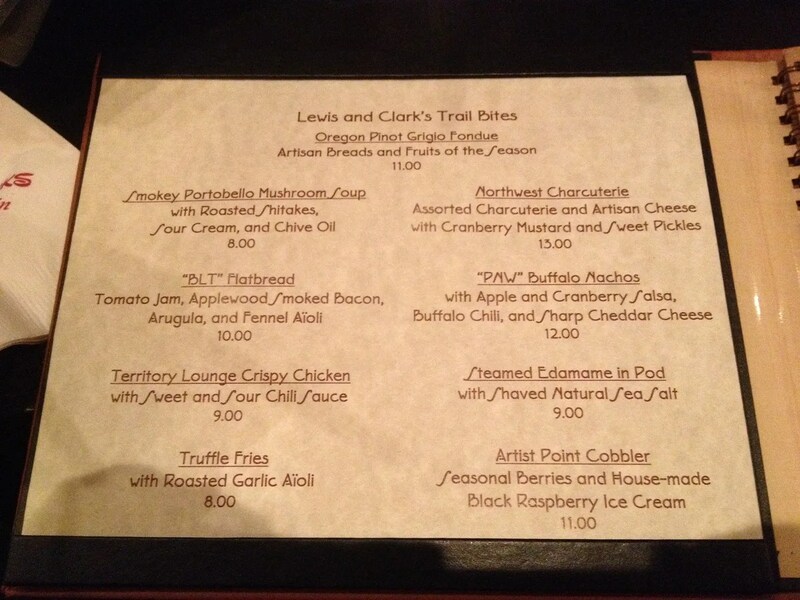 Then the house-made potato chips had been replaced by two items, truffle fries and nachos. Slight changes had also been made to both the chicken appetizer and the flatbread. In March, there were chicken wings served with sweet Thai chili sauce and wild mushroom & bleu cheese flatbread. Now appearing on the menu were crispy chicken served with sweet and sour chili sauce and BLT flatbread. And finally, the Drunken’ doughnuts that had once appeared on the TL menu were now gone and not replaced by another dessert-type choice…leaving only the Artist Point cobbler on the menu to satisfy your sweet tooth. For our appetizer, we were all in agreement and ordered two pots of the fondue for the 6 of us to share. Those of us who had had this before (Brenda, Em and me) immediately noticed that the pretzel bread was missing. 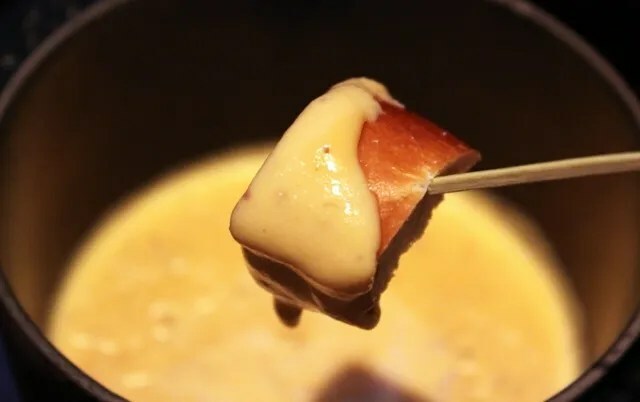 When asked about it, our server told us that it is no longer served with the fondue. I suspect that this change may have coincided with the change from beer to white wine in the fondue. 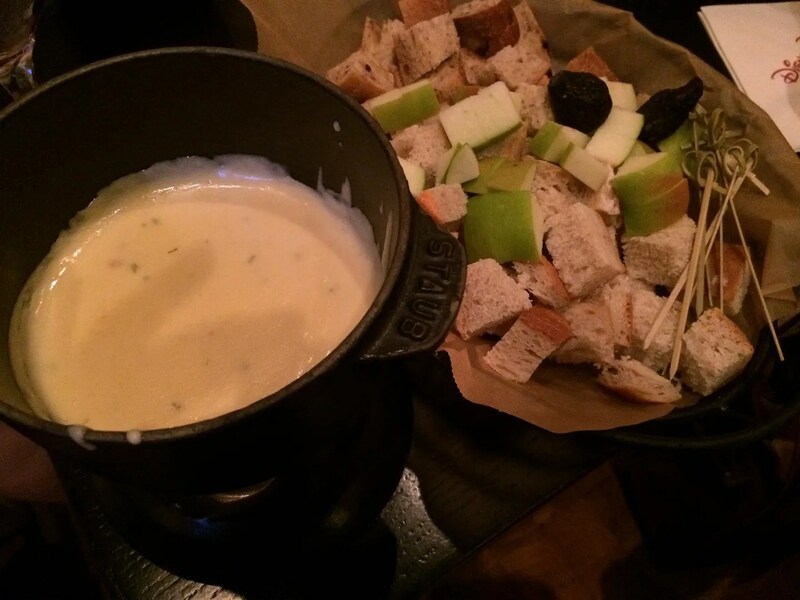 So Old Fondue vs. New Fondue…what was my verdict? Sadly, I would have to say that I enjoyed the old version better. This came as a bit of a surprise to me, since I generally do not like or drink beer and would much prefer white wine. However, there is something about the combination of sharp cheddar cheese and beer that works perfectly and when you throw in some pretzel bread to the mix…well, it’s a match made in heaven! 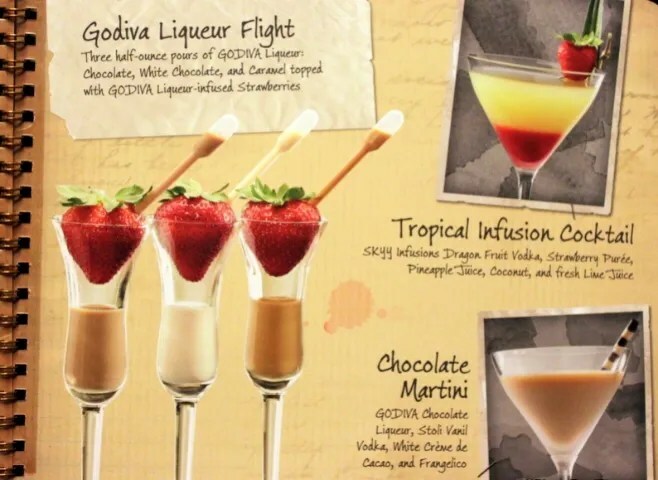 Ok, moving on to another topic now…Cocktails! 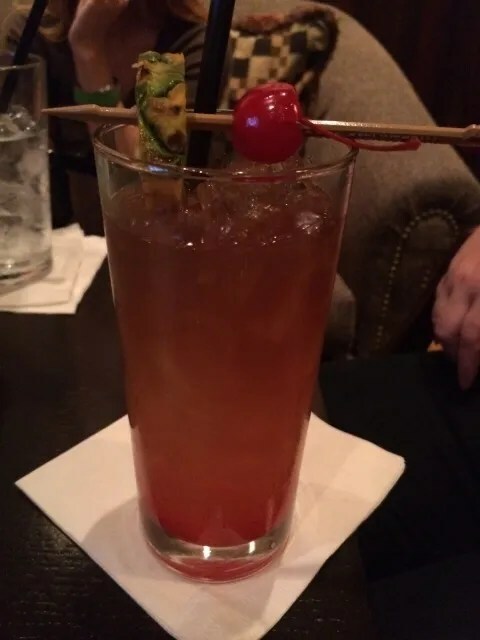 What a surprise, I chose another sweet, fruity cocktail. Yes, I’m boring and quite predictable, but “I know what I like and I like what I know.” Further evidence of my predictableness is that when I went back to read my review from our first visit to the lounge today, I found that I chose the exact same drink. Emily is a chocolate lover so I guess I understand why this caught her eye on the menu. I think she liked this, but I’d be surprised if she ordered it again.